Gardai In Arklow have discovered a huge haul of stolen Green Extra Chewing Gum and Bic Lighters in a secret compartment of local woman Michelle Reilly’s handbag. A tip-off from Michelle’s long suffering boyfriend of six years James Doyle to local Gardai, led to a dawn raid on her handbag and the discovery of a significant haul of stolen contraband with an estimated street value €1.75. In an interview with James he was keen to stress how quickly a petty habit of robbing the odd chewing gum steadily spiralled out of control and he ended up being the victim of multiple thefts culminating in the theft of his favourite Superdry Hoody. A spokesperson for Arklow Gardai confirmed that to date almost €4.80 worth of stolen property has been recovered as part of Operation Buy Your F*ckin Own. The Garda spokesperson has urged anybody who may suspect a loved one of being caught up in the highly organised all female cartel who control the gum and lighter black market to come forward with any information they may have. Gardai also believe that certain hardened members of this cartel have began taunting their victims by blanket bombing the bedrooms and bathrooms of their male victims houses with the mysterious and dreaded “hair clip” as they are known on the streets. There is no known way to rid your home of this infestation making this all the more heinous a crime. If you have been affected by any of the issues above help is out there. 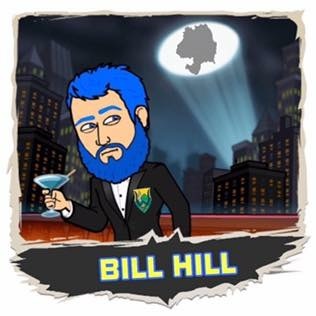 Just simply click on the link below and give Bill Hill a Like on Facebook and we will know you are sending an S.O.S and we will send help!